Three races into his comeback, Niki Lauda took victory for McLaren after overcoming the then-youngest pole-sitter of all-time, Andrea de Cesaris (who later crashed out). 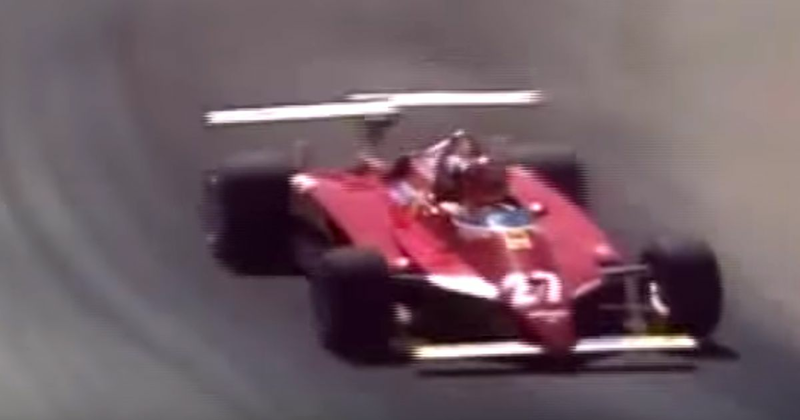 Keke Rosberg finished second with Gilles Villeneuve third, however after the race the Canadian was disqualified due to the rear wing setup on his Ferrari. Rules at the time said that the rear wing couldn’t be more than a certain width, so Ferrari figured that fitting two separate rear wings and arranging them side by side would effectively give a double-width rear wing while still technically being legal. It was actually done as a protest against teams like Williams and Brabham, which were employing questionable tactics such as water-cooled brakes to circumvent rules while gaining an advantage - Ferrari’s double rear wing was supposed to show how ridiculous things could get if teams were allowed to keep exploiting loopholes. The first Bahrain Grand Prix was far from exciting as Michael Schumacher and Rubens Barrichello cruised to another one-two. Jenson Button finished third, but it could well have been his teammate - Takuma Sato had been running ahead of him when he ran over a kerb and broke his front wing, which dropped him to fifth by the end. Sebastian Vettel jumped from third to first at the start and finally recorded his first win of the season after being denied by mechanical issues in the first two races. Front-row men Mark Webber and Nico Rosberg finished second and third, the latter recording the first podium for the returning Mercedes team. 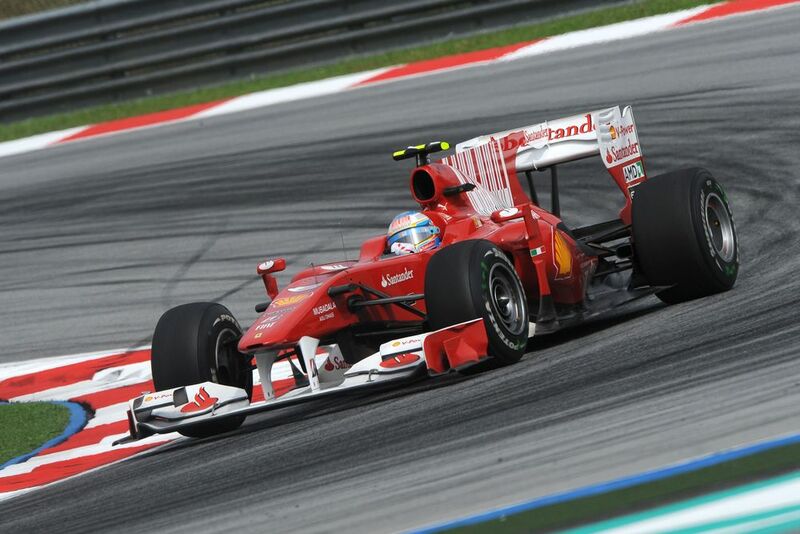 The Ferrari and McLaren drivers had a challenging race after both teams completely misjudged the weather in qualifying, staying in their garages until it started, which left the four drivers starting towards the back. 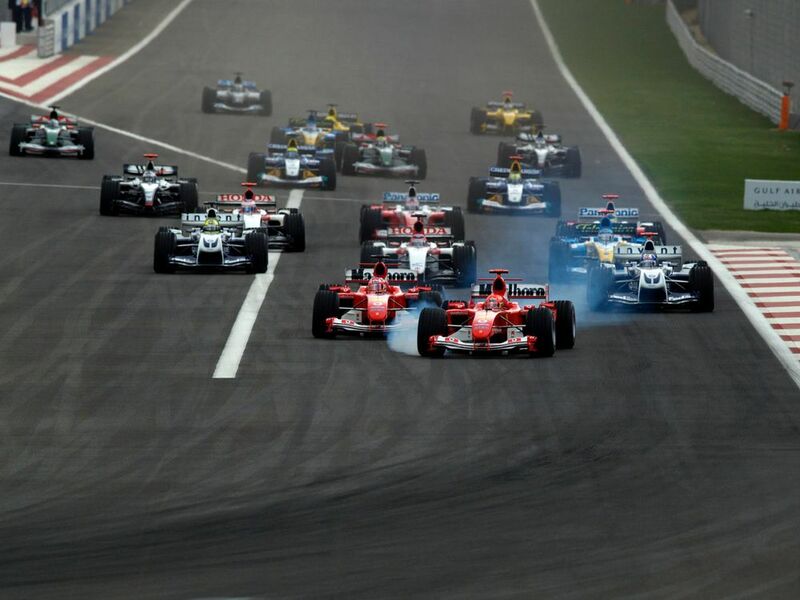 Lewis Hamilton went from 20th to sixth, Felipe Massa from 21st to seventh, and Jenson Button from 17th to eighth, but it was Fernando Alonso who had probably the most impressive drive. His gearbox developed a fault early on which meant he had to blip the throttle in order to get the car to change down gears, which severely affected his braking ability. Impressively he managed to get up to ninth until his engine failed just a couple of laps from the end. Best known for his considerable sportscar successes, Richard Attwood (born 1940) also started a number of F1 races in the late 1960s, with a best finish of second in the 1968 Monaco GP, where he also set the fastest and wasn’t far away from beating his BRM teammate Graham Hill to the win. Christian Danner (born 1958) started 36 races for the likes of Zakspeed, Osella, Arrows, and Rial between 1985 and 1989, with his best finish being a surprising fourth for Rial in the 1989 US GP. However, after failing to qualify for several races that season he left the team, bringing an end to his F1 career.